Here we are to another edition of... what.. weird things printed on packages? I'll have to think about that some more. But every so often I feel like I come across something a little bizarre printed on packages. Some funny phrasing or nonsensical description that makes me go: ? This one is just an error of the manufacturing but still, it gave me quite a lot of grief. Ok, some grief. Ok, a slight annoyance for ten seconds. Do YOU see a tear notch anywhere? Just because you print the words doesn't make it so! Having it labeled so plainly made it all the more aggravating. If there had been nothing there I could have been more accepting behind the shroud of mystery. I'd have been like, well, I guess they purposely made this bag to be impenetrable, which I can respect. But no. 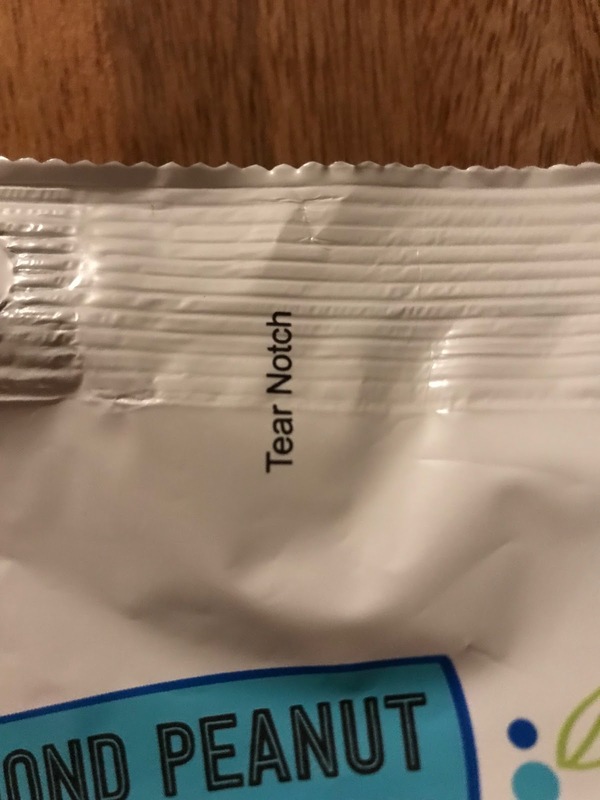 They put the words there so I would know FOR SURE there was a tear notch! But there was nary a notch to be found. I felt so duped, so deceived. I first tried to tear near the words, like I was instructed. Then i migrated gradually over to both sides almost trying out each and every bump of that serrated bag edge, including down the sides where there is often a notch within an inch or two from the top. Nothing. I then tried opening it the same way but at the bottom of the bag, like a madman. Not. I then tried pulling both sides apart, like a bag of chips. Nope. Glued with liquid iron. (I imagine that would be a pretty impressive adhesive even though I don't think it chemically makes sense) Finally I had to use scissors to open it, like I was living in Medieval times. You know you've completely lost if it comes to scissors. Or maybe teeth is the last desperate, pathetic option? I didn't resort to that, fortunately, but only because I had scissors on hand. I opened it and was a little taken off guard when I saw that each bite came individually wrapped. Normally I'd appreciate this immensely even though it's not so eco-friendly. But I was scared I might have to start all over again. Gladly, they opened easily. 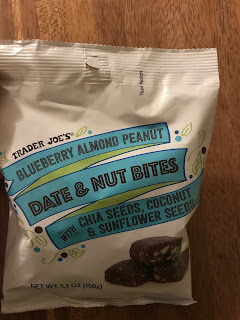 Not so gladly, they weren't amazing. I'll keep them around for when I need a nutritional boost but a flavoral detriment. Plus I worked so darn hard for them. I will eat them all.